In 2014, I received a provincial arts board grant to explore the landscape on a more intimate level, and with larger fibres. My goal was to create expressive, impressionistic art after years of detailed realism. 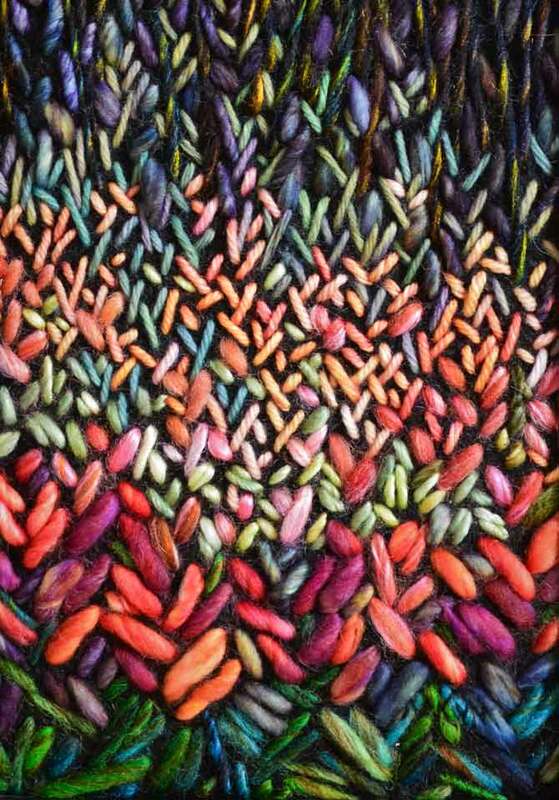 A View from Shelby’s Garden is handstitched yarn on felt. This is what I saw from under boughs of evergreens, looking out over her gardens, blooming with colour. It’s more than that though. It’s an artistic impression. Read more in our Winter 2016 issue.